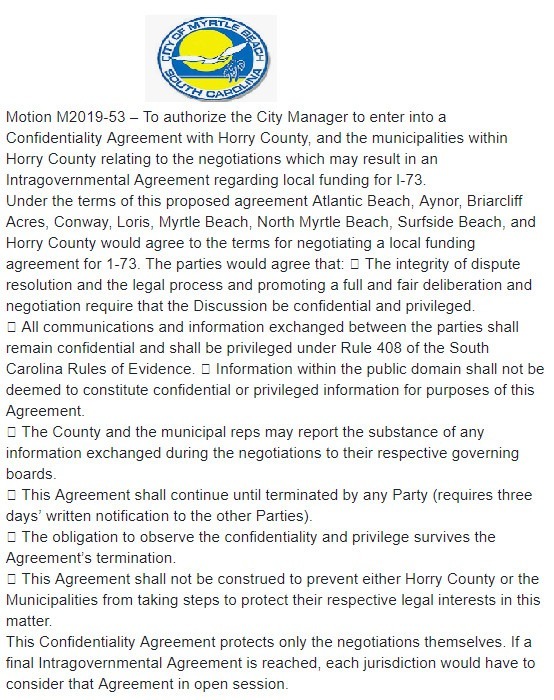 With today’s city council vote, one of the least transparent cities in America continues its forty year run controlling Horry County. Horry County residents were shocked and dismayed by the vote from County Council last night delaying the termination of a $25 million annual SCDOT contract until Chairman Gardner could meet with City of Myrtle Beach manager John Pedersen. County Council voted last night effectively agreeing to the terms dictated in the city of Myrtle Beach ordinance above. The terms of that ordinance are that all discussions of how these tax dollars are allocated to fund I-73 remain private until the deal is done. 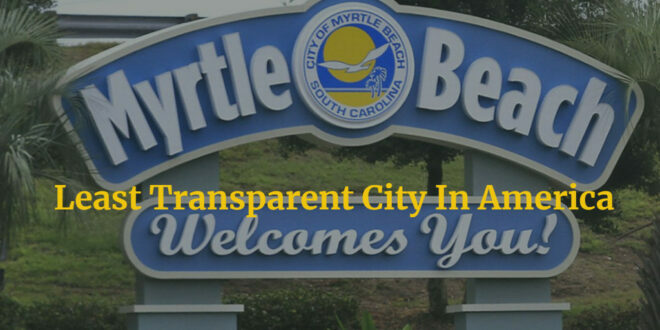 While the city of Myrtle Beach struggles to manage its own affairs, the flow of millions in tax dollars from the state and the county allows the city dominant influence in all things Horry County. With little support on County Council from coastal-elected councilmen, Gardner chose to accept the terms of the above. Myrtle Beach City Manager John Pedersen is, without question, one of the least trusted and most despised bureaucrats in Horry County.